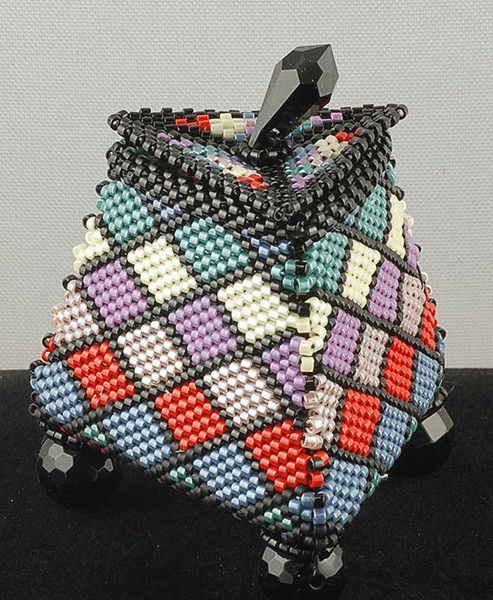 This class teaches you Peyote increase and decrease as you create a beautiful beaded triangle box out of Delicas. 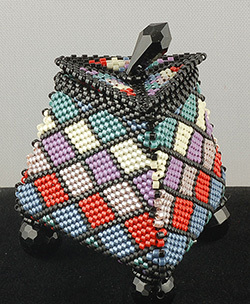 The diamond shapes on the sides allow for a unique color palette. Perfect your technique and make the box in the first session, then add the finishing touches to the box in session two. Your box could make a great gift for that special someone in your life.